Delbaran (Abolfazl Jalili 2001) is one of the most beautiful films I have ever seen. Not just for the breathtaking images of the Iranian landscape (the north-eastern district of Pivey Zhan, close to the border to Afghanistan) but also for its storytelling and humour. It is one film when calling it poetic actually means something specific. There is hardly any story to speak of, there are just a series of images and events, loosely linked, that show the comings and goings of Kaim, a boy, 14 years old, during a diffuse period of time. Kaim is a refugee from Afghanistan, which he left after his house was bombed and his mother killed. His father remains, fighting against the Talibans, and his sister and grandma are also still there. But he has no wish to go back, none at all. 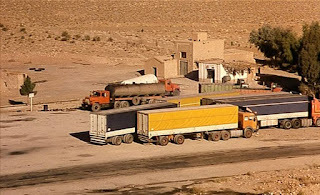 Now he works here, on the Iranian side of the border, at a truck stop with an old man as his boss. Something else that is inevitable is that Delbaran has been likened to neorealism, even though it is plainly not at all like it. 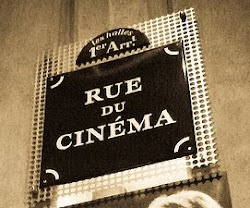 The neorealist films are fine as they are, but with their clearly defined characters, story arcs, frequent use of professional actors and tendency to be melodramatic, they are very different from Delbaran, which has neither of those things. What it has however is a wonderful sense of deadpan humour. There is for example an episode where a few men are, it seems like, hunting birds. One of them is running to catch the birds, but the way the sequence is edited it looks like he is just running back and forth in front of the hunters, trying to avoid getting shot. Sound is also used for comic effects at times. One scene shows the feet of the boy and an old, one-legged woman, walking across the courtyard in slow-motion while a French pop song is heard. But this is no comedy, life is precarious and sometimes refugees are shot and killed. War and death is around the characters. Another way sound is used is exemplified by a series of three static shots of what looks like RPG's (rocket-propelled-grenades) mounted to the ground as if some kind of decoration, with each image accompanied with the sound of a non-diegetic explosion. While sound is used to vivid effect there is very little dialogue. The camera is often at some distance from whatever is happening (alternated with still close-ups of objects). Perhaps the most common shot is of the camera panning either left or right, for a long time, following a car, a motorcycle or somebody running, usually the boy. The repetition of such scenes help give the film of feeling of hopelessness and perhaps a kind of surrealism. 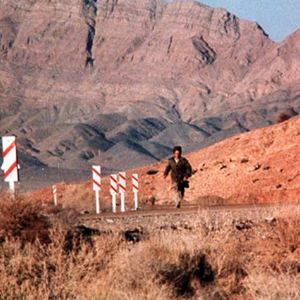 People are running but they do not seem to be getting anywhere, they are trapped in the here and now of their despair. 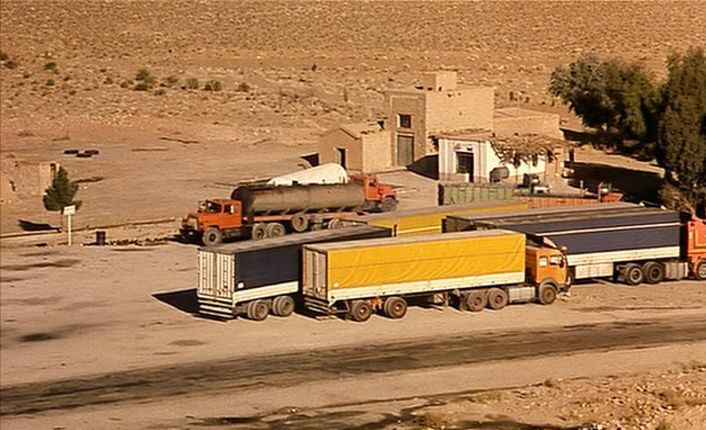 So the film is about a sleepy outpost in rural Iran, while also a drama about refugees, and as such always pertinent. Most refugees are after all to be found not in Sweden or Germany but in the countries closest to whatever people are fleeing from. The myths about neorealism are strong and persistent, and often bear little resemblance to actual films such as Open City (Roberto Rossellini 1945), Bicycle Thieves (Vittorio De Sica 1948), Bitter Rice (Giuseppe De Santis 1949) or Umberto D. (Vittorio De Sica 1952). For example, while some parts might be played by amateurs, such as the main male characters in Bicycle Thieves and Umberto D., other parts are played by professionals, even stars, including in Umberto D. and Open City. Over the years I have seen four films by Abolfazl Jalili at various film festivals. The first was Don (1998), Delbaran was the second (the first time I saw it was 2002) and then The First Letter (2003) and Darvag (2012). I have liked them all, although no one as much as Delbaran. Today is Good Friday, and in the olden days this used to be a closed day in Sweden, at least until the 1990s. No shops were open, no newspapers came out and TV and radio broadcasts were solemn and/or religious. Swedish Television would show a film with a biblical theme, such as Quo Vadis (Mervyn LeRoy 1951) or Ben-Hur (William Wyler 1959). Another film that would have been shown is Cecil B DeMille 's The Ten Commandments (1956), so I thought I would keep that thought. It was DeMille last film, and not a very good one. At the end of the 1910s and the 1920s he was one of the best of filmmakers, making elegant, witty and intelligent films such as Old Wives for New (1918), Don't Change Your Husbands (1919) and Why Change Your Wife (1920). But his films of the 1930s and onwards are less than great. He was really the star behind his films too, the filmmaker not only as auteur but Moses or even God (judging by the promotional material for The Ten Commandments). So he was a celebrity and he also appeared as himself in Sunset Boulevard (Billy Wilder 1950), with Gloria Swanson who was his leading lady in the silent era. That year, 1950, was an interesting one for DeMille and for Hollywood in general because of the intense political intrigue being played out at SDG, the Screen Directors Guild (which later became DGA, the Directors Guild of America), where most directors were members. That is the subject of today's Easter post. The late 1940s and 1950s were filled with fears and paranoia about Communists, the Red Scare, which infected all parts of the United States. The most famous examples are from Congress where in the House of Representatives there was HUAC (House Un-American Activities Committee) and in the Senate there was Joseph McCarthy, the junior senator from Wisconsin. DeMille was an anti-Communist crusader, a friend of McCarthy, and an influential member of the board of the SDG. He had been working during the 1940s to fill the board with like-minded people, like Albert S. Rogell, George Marshall and Sam Wood, as the board held the real power in the Guild. After Congress, against the veto of president Truman, had enforced that all federal employees signed a loyalty oath (in effect declaring that the signed was not a Communist) DeMille wanted every member of the SDG to sign one too. This is when he and fellow filmmaker Joseph L. Mankiewicz became enemies. Mankiewicz was at the time at the height of his powers, fresh from the remarkable success of A Letter to Three Wives (1949), possibly his best film. In 1950 he made two other distinguished films, No Way Out and All About Eve, the latter for which he would win Oscars for best writing and best directing, just as he had for A Letter to Three Wives. His films were the opposite of DeMille's, sophisticated and intelligent dramas and comedies. But DeMille had recommended that he take over the position as president of the SDG, after George Stevens, and this is what happened. DeMille probably thought that Mankiewicz would be malleable to his wants, but this turned out to not be the case. The conflict was not so much about an oath per se, most members of SDG, including Mankiewicz, were in favour of signing such a thing. 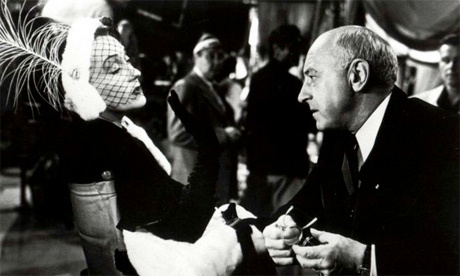 In August of 1950, when Mankiewicz was on a ship sailing from France to the US, DeMille and his board had sent out a ballot to all the members of SDG where they could vote yes or no to such an oath. 547 voted yes, 14 voted no, and 57 did not vote at all. (Whether those who voted yes all did so because they really believed in it or because they were afraid of ending up on a blacklist is a valid question.) But DeMille and his faction argued that the oath should be mandatory, for all members, and official, so that anybody could see who had signed. The result would be that whomever refused to sign would more or less end up on a blacklist. The board had already voted against this, but DeMille and his faction were not satisfied with that no-vote. So this is the situation that faced Mankiewicz when he came back from his trip, on August 23. When DeMille understood that Mankiewicz would not budge in his resistance to a mandatory oath, he and his closest associates tried to get Mankiewicz kicked out. On October 11, DeMille called a secret board meeting and only invited those he knew agreed with him (which meant that for example George Stevens got his invite to the meeting after it had already begun) and they decided to send out a new ballot to members of the SDG for a recall of Mankiewicz, with no motivation and without official SDG approval. The ballot was then sent out by motorcycle dispatches during the late evening and night of October 12, to most members of the SDG, with the exception of 55 members considered too loyal to Mankiewicz. Obviously, Mankiewicz and his friends were to be kept in the dark but apparently Mankiewicz's brother, Herman, got word of it and called him up saying he was being impeached. Mankiewicz quickly set up a secret meeting of his own to counter DeMille's attack, on the evening of October 13. He had a lawyer, Martin Gang, take out an injunction against DeMille's ballot and got hold of 25 supporters among the SDG members who could sign on to a request for a general meeting for the SDG. (25 signatures were needed for that.) In the nick of time he managed to secure them and a meeting was called. It was held on the evening of October 22, beginning at 8:00 pm, and chaired by Mankiewicz. There were three things on his agenda: to clear his name and save his presidency, to dismiss the idea of a general, mandatory and public oath, and to restrain the power of the board (and DeMille) and give it back to the members. So far, most things had gone DeMille's way but he was so arrogant and offensive at the meeting that he managed to turn almost everybody against him, including some of his ideological partners. It is usually said that it was John Ford who decisively turn things around so that Mankiewicz prevailed, and DeMille lost, but when Ford intervened the game was pretty much already over. First the members were appalled when DeMille seemed to suggest that Mankiewicz's 25 supporters were in one way or another closeted Communists. Among those who ventured their anger were John Cromwell, George Seaton, William Wellman, Delmer Daves, John Huston and William Wyler. Then they became even angrier when told of DeMille's deceitful attempt to force out Mankiewicz, revealed by George Stevens who had spent the week conducting a thorough investigation into DeMille's shenanigans and now presented his result. (Stevens also announced his resignation from the board out of sheer disgust.) And, finally, Ford intervened and suggested that the whole board (of which he too was a member) resigned, including DeMille. That is how the meeting ended, after over six hours of heated discussions. The board resigned and it was decided to put together a committee of five members to investigate the whole affair. DeMille picked up his papers and walked away, a defeated man. That was an effort to do a fair summary but over the years there have been conflicting stories about it, and who did or said want to whom has often been misleading. Mankiewicz's real position regarding the oath has also been confusing, even his own telling of the story, and the oath remained in one form or another until the Supreme Court struck it down in 1966. It was around this point that DeMille read out the names of the  men who had signed the petition to call the meeting, emphasizing, in many cases, their foreign origins - "Villiam Vyler," etc. Although this moment is not preserved in the transcripts, everybody still alive who was there says that DeMille did in fact do it, alienating all those in the middle of the argument. The rumours about that alleged anti-Semitism, and the counter-arguments against it, have taken a life of their own. When for example was this first reported? It was not in Zinnemann's autobiography, so much is certain. Another charge has been that it was Billy Wilder who first made the accusation, referenced in Ed Sikov's book On Sunset Boulevard: The Life and Times of Billy Wilder (1998). But there Wilder is quoted as saying, in 1972, that DeMille mocked him, and others, for being foreigners (p. 332), not explicitly for being Jewish (although the two were often linked). In Hollywood Divided (2016), Kevin Brianton suggests that it was Mankiewicz who started the rumour, but much later, in the 1980s. So possibly DeMille never did say those things. But he does not exactly come out well from this affair anyway, even without the possible anti-Semitism. This whole thing has become something of a mythical event and filmmakers are still judged according to how they behaved during this affair, even though it is often difficult to comprehend what exactly happened and why. But that it was an important event is obvious. A defining moment in the history of Hollywood, although what it defines is foggy. The film Mankiewicz made after this affair, People Will Talk (1951), was clearly influenced by his experience. Its hero, played by Cary Grant, is being investigated and threatened by a bitter colleague played by Hume Cronyn. But that is only one of the many themes and plot points in this remarkable film. DeMille's next film was The Greatest Show on Earth (1952), which is clearly a labour of love and which won two Oscars, including Best Picture, but I find it unbearably tedious. Pictures Will Talk: The Life and Films of Joseph L. Mankiewicz (1978) by Kenneth L. Geist. Fred Zinnemann: An Autobiography (1992) by Fred Zinnemann (and Alexander Walker). On Sunset Boulevard: The Life and Times of Billy Wilder (1998) by Ed Sikov. The Life and Times of John Ford (1999) by Scott Eyman. Alfred Hitchcock: A Life in Darkness and Light (2003) by Patrick McGilligan. Empire of Dreams: The Epic Life of Cecil B. DeMille (2010) by Scott Eyman. Hollywood Divided: The 1950 Screen Directors Guild Meeting and the Impact of the Blacklist (2016) by Kevin Brianton.